How to copy PDF ebook to ipad? 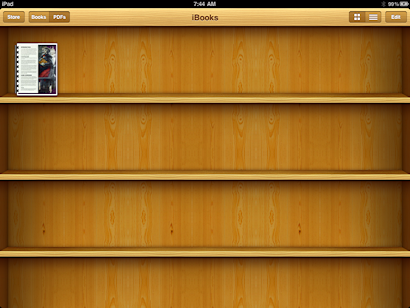 How do you get those PDFs onto the iPad, and how do you then access them within iBooks? You can do it like music or video files. 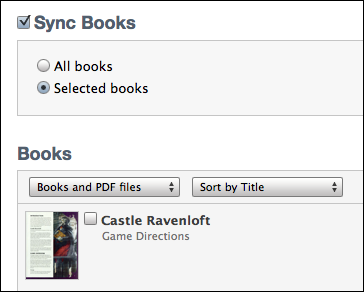 As with other content, you’ll want to check “Sync Books”, then most likely also choose “Selected books”, then make sure that the check box is marked adjacent to each and every PDF you want to have on your computer. Click “Sync”. 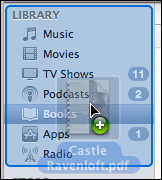 Tap on the PDF file, reading …. Read DRM Mobipocket book on iphone/ipad ? How to download Google Play ebook in Pc? How to Hack Kindle DRM ? How to remove DRM from Sony Library ebook? How to print Kindle ebook? How to Create Kindle eBook Collections ? How to remove Barnes & Noble ebook DRM?